Forget a run for President of the United States. 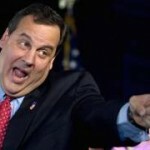 Governor Chris Christie has created an exploratory committee with hopes of becoming president of the National Association to Advance Fat Acceptance, or NAAFA. Don’t Ask, Don’t Tell is out for the United States Military, but pink rifles are in. 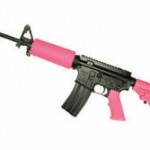 The Pentagon has placed an order for 100,000 pink tactical rifles which will be made available to all gay servicemen.